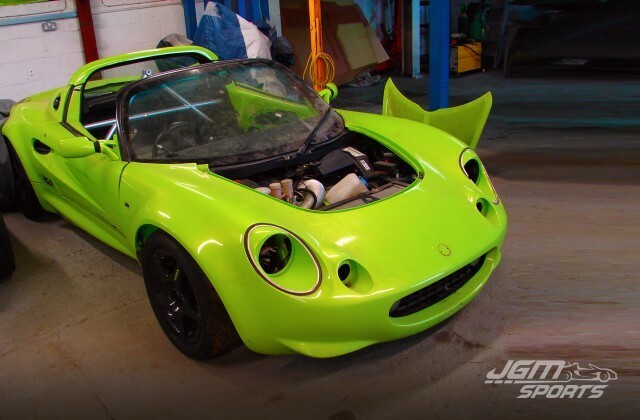 Retired Lotus Elise trophy race car gets recommissioned. 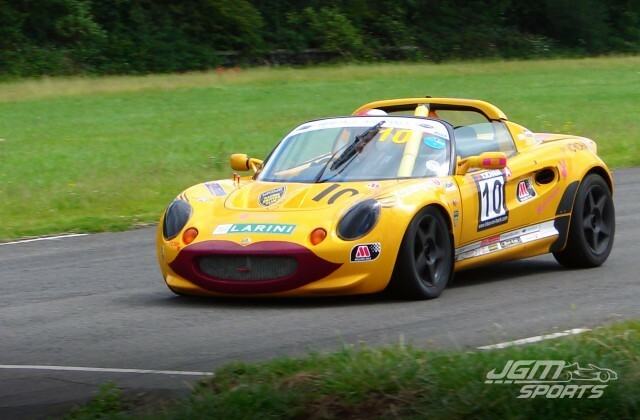 This little yellow Elise had a great personality and an interesting history. 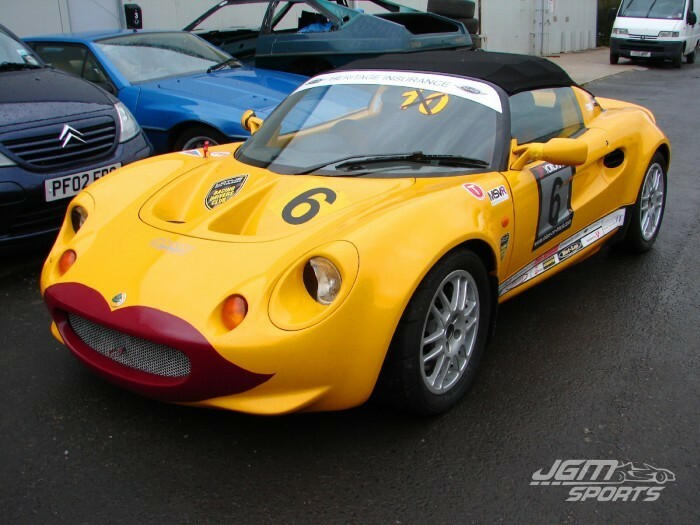 It started out as an early 1997 Norfolk Mustard Yellow Series 1 Lotus Elise. 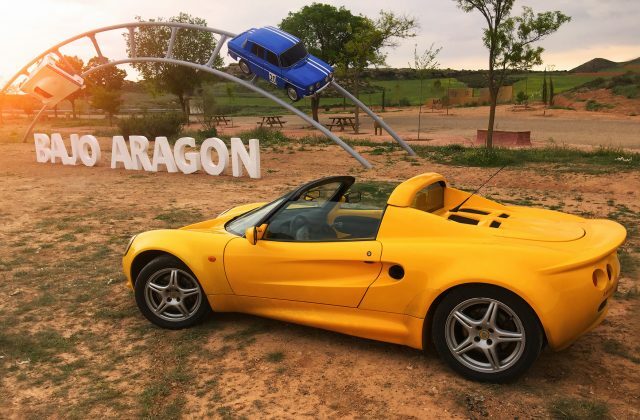 Instead of being sent into the normal dealer network to find a loving owner it was kept by Lotus and used as an academy training car. Lotus had the car for 3 years and during this time it wasn’t road registered and was only used on track at Hethel, however it still managed to clock up a fair few miles! 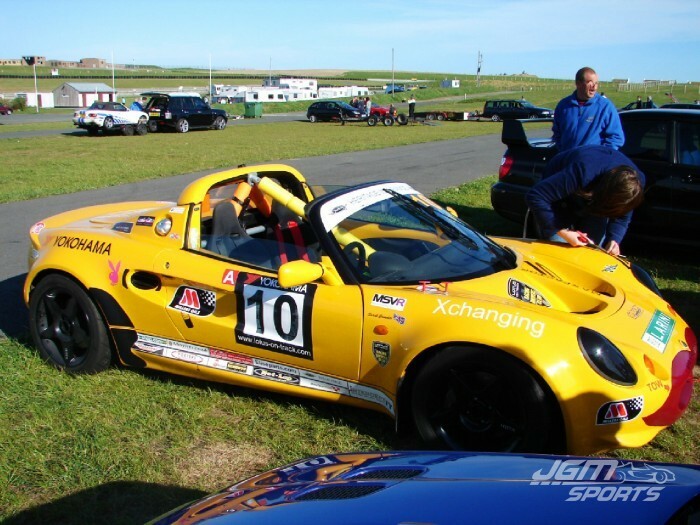 In 2001 Lotus finished with the car and it was registered on a UK ‘X’ registration for years 2000-2001, although it was an early 1997 car which would have made it a ‘R’ registration if it had been registered when new. After this the car then went on to be used as a track day toy until 2007. 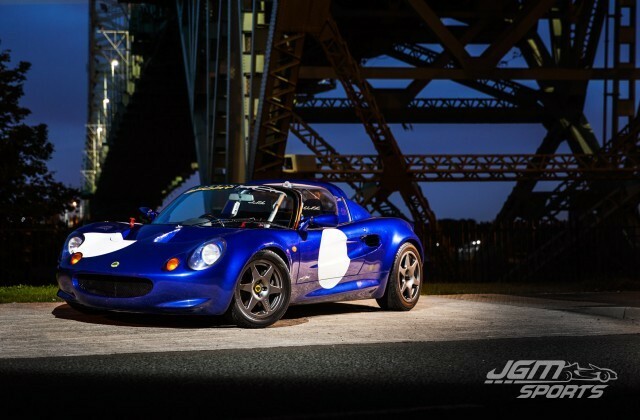 It was prepared and raced in the very first year of the Elise Trophy where it completed the whole season in Production Class. 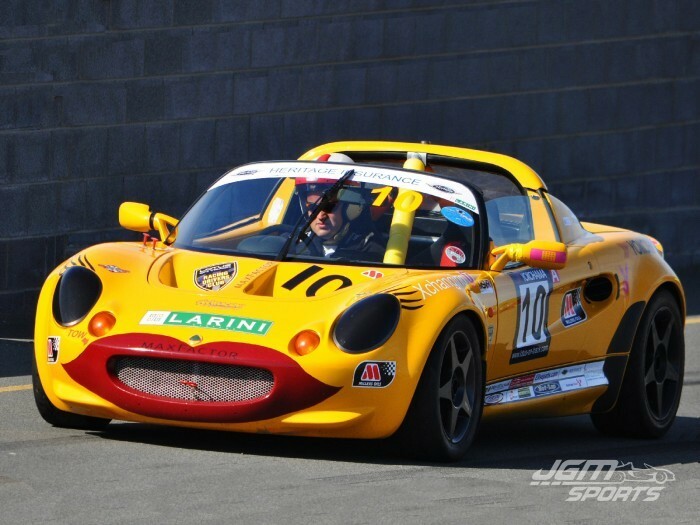 The Elise was driven by the only female driver on the grid, to make it stand out a huge set of Penelope Pitstop style red lips were added to the front end and ‘Hot Lips’ was born! After the 2007 season she was freshly serviced and ready for the 2008 season but instead was put away in a barn for storage. Unfortunately ‘Hot Lips’ never made it to the 2008 season and was kept in the barn until we purchased her in late 2010. Subsequently as ‘Hot Lips’ had not turned a wheel in 4 years she was pulled out of the barn and put on a recovery truck to see what was required to recommission her. After a quick inspection it was obvious that underneath the dust she was a well prepared race car. With exterior pulls for the electric cut off and the fire extinguisher, semi slick tyres, uprated toe links and what looked to be like an almost new set of coilover suspension. A good point about being a track only car is she had never seen any salty roads therefore the suspension components were rust free. 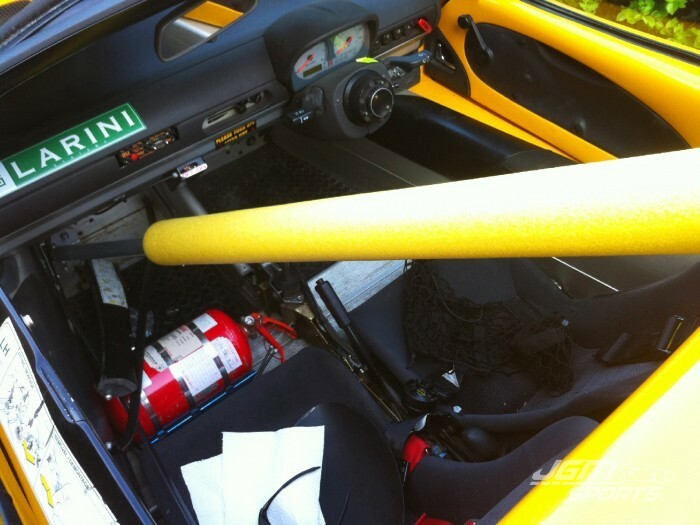 Aside from the cobwebs the interior was typical race car, A-frame/petty bar, plumbed in fire extinguisher, harnesses, gps data logger and a brand new removable suede steering wheel. No stereo to be found here. After a quick clean it was obvious she had obtained a few battle scars over the years. 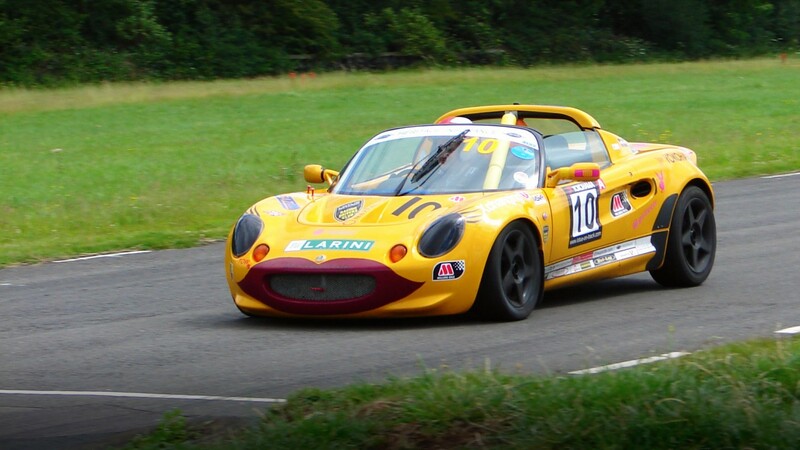 In the 2007 season of the Elise Trophy she had an incident that required a new rear clam, a later clam with the molded in boot was fitted and what looked to be a rush paint job with the odd bit of over spray on the already tired firewall. The other body parts were covered in rubber marks and hairline cracks, it was obvious she had seen a lot of action! In my opinion this all added to her character and it was refreshing not to be working on a freshly painted car that you were worrying about damaging. Next step was to see if she ran? 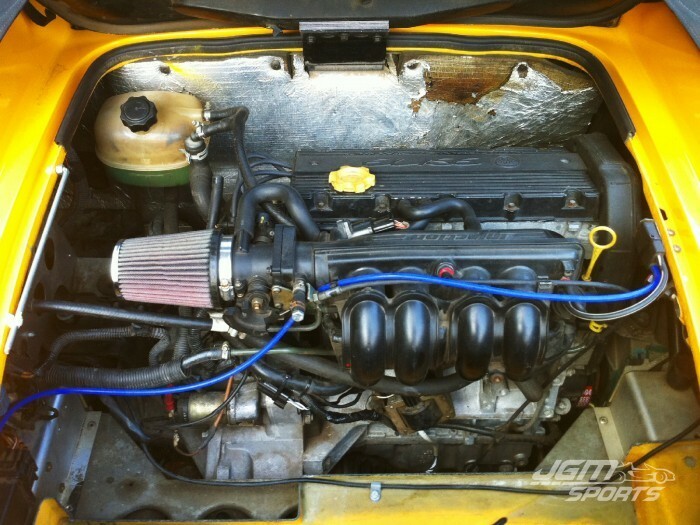 All the usual serviceable items were changed including most importantly a new cambelt. The fuel was then checked and it had turned to sludge. So the fuel tank was drained and fresh fuel added, along with a new fuel filter, new battery and then it was time to see if she would start. After a bit of coaxing she fired into life and to everyone’s relief got up to temperature and held it with no problems. ‘Hotlips’ then went through the usual spanner check and was sent for her first ever MOT, after dazzling the inspectors she passed first time. She was now fully road legal and serviced, the only remaining decision was the cosmetics. The lips were painted on so the choices were to give her a full respray or embrace her as she was. The choice was an absolute no brainer…. Over time she has sported a number of different shoes (wheels), more stickers from mainly feminine branded companies and eyelashes made from electrical tape added by a spectator during lunch on a track day. 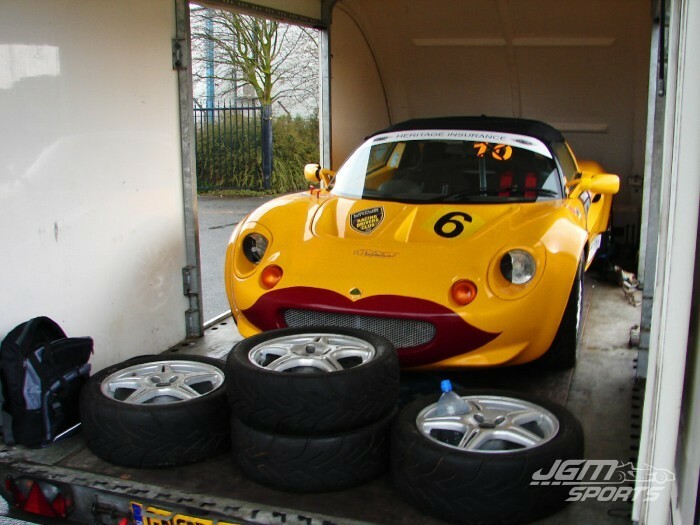 She was used and enjoyed for many track days, sprints, road use, car shows and a trip to the Lotus Festival at Snetterton for the world record attempt to gather the most amount of Lotus cars on track at one time.